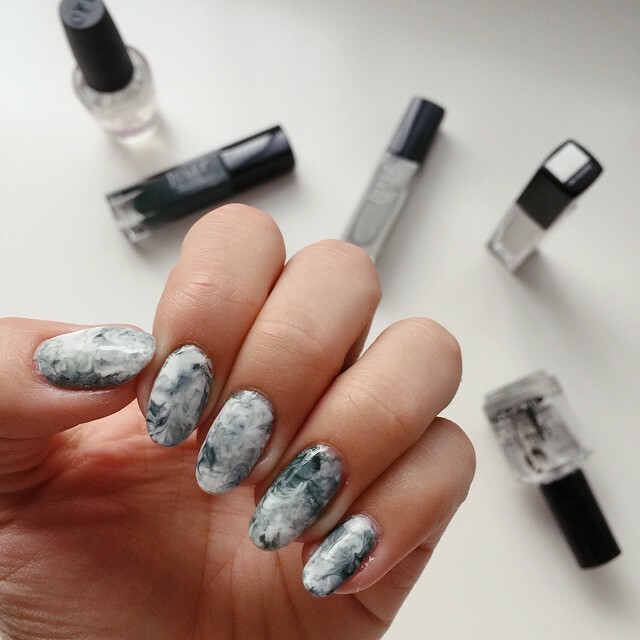 A few weeks ago, I posted a photo of my DIY marble nail art on Instagram. It is easily one of my most complimented manicures. Ever. The thing is it's really easy to do–not a drop of water involved. A little on the time intensive side (20-30 minutes), but easy! Watch the video below to see how I do it and keep scrolling to read a step-by-step. Like what you see? Subscribe to my channel! Polish your nails with your lightest color and allow to dry. Use your brush or q-tip to apply white glue to the skin surrounding your nail. Keep the layer on the thin side so it doesn't take as long to dry. Place a drop or two of each color of polish onto the plastic wrap, use your bobby pins or toothpick to lightly swirl the colors together. Take care not to over mix or you'll lose that tri-color swirling effect. One to three passes through the polish is sufficient as it'll mix a bit more on the next step. Either dip your nail onto the polish-covered plastic or lift the plastic to press onto your nail. Repeat for each nail, varying the color ratios. Peel off the dried glue and discard. Use a second brush or q-tip and some nail polish remover to clean up any areas not protected by the glue. Finish with your favorite top-coat. 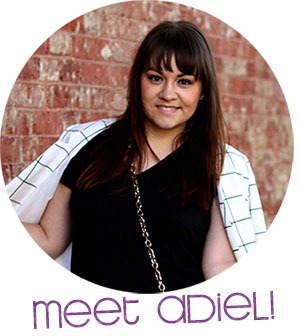 For fun color variations, get inspired by real life marble and incorporate a small bit of gold, green, or blush polish.